There are many important factors to consider when choosing a mattress topper to use on your mattress, so before you rush for the best looking topper, think about your purchase and how it can keep you comfortable while sleeping. Thickness: Choose a mattress topper that is at a minimum of 2″. A 3 to 4-inch mattress topper will help a worn or firm mattress for better comfort. Density: A mattress topper density is measured by the lb. The range is from 2 lb to 4 lb. The ideal density for maximum comfort is 3 lb. A higher density mattress topper will better heavier people. Temperature: The mattress topper softens at your body temperature. I will recommend a cooling gel or open cell mattress toppers for hot sleepers — this type of topper increase air circulation, drawing heat away from the body.  Manufactured: Many companies producing mattress toppers are producing them in the United States. Certified Materials: Several organizations certify mattress toppers to be free from harmful chemicals and safe for the environment. If you are chemical sensitivities or are dedicated to green living, check these certifications. AB Lifestyles – AB lifestyle cater to the camper, travel trailer, RVs, and motorhomes. The most popular is a short queen quilt mattress pad (Link to Amazon). AmazonBasics – Amazon basics makes excellent mattress pads. The mattress pad is a high-quality construction fill with hypoallergenic. The pad fits a mattress up to 18″ thick, is breathable, machine washed and dried at high temperature. AmazonBasic makes mattress toppers in every bed size. eLuxurySupply – Also known as Exceptional Sheets, eLuxury produces high quality extra thick mattress pads and toppers. eLuxury trusted by 5-star luxury hotels and resorts around the country. The most popular pad is the Bamboo Extra thick mattress pad (Link to Amazon). Giantex – Giantex centers largely on heated mattress pads. The heated pads have different temperature setting with timing mods. The pads are washable and have auto overheat protection. Here is a popular heated pad Gheatiantex Heated Mattress Pad (Link to Amazon). Gilbin – Gilbin offers egg crate foam, cotton fleetwood mattress covers, waterproof cotton top pads, and quilted mattress pads. Gilbin makes two different mattress pads sizes cot & xl twin. Great Bay Home – Great bay home offers hypoallergenic mattress toppers. These toppers are allergy control that helps with sneezing, itchy throat, stuffy nose, and other allergies. The pad is machine washable, and tumble dry safe. Leisure Town – Leisure Town offers a cotton cooling mattress toppers. The HNN cooling technology allows for air flow thru the mattress pad. The mattress pads are available in every bed size. Leisure Town also carries RV mattress toppers. The most popular is the Cooling Mattress Topper Cotton (Link to Amason). LUCID – In my opinion, LUCID has the best selection of memory foam mattress toppers; these include gel memory foam, ventilated, bamboo, fiber, and lavender scent infused. The thickness of the toppers ranges from 2 to 4 inches. Lucid carries all standard bed sizes. Zinus – Zinus an excellent selection for a cool gel mattress topper. They produce high-quality gel memory foam pads with a thickness ranging from 1.5 to 4 inches. The padding feels good, and it fits well on the mattress. Like most topper all bed size are available. Red Nomad Home – Red Nomad 3-inch Visco elastic memory foam mattress topper, also made in the USA. Red Nomad carries a waterproof mattress protector, duvet cover, crib pad protector, and a 3-inch gel infused Visco elastic memory foam topper. DreamFoam Bedding – Dreamfoam bedding is on the affordable side of mattress toppers. The main three products are gel swirl toppers, Talalay latex mattress toppers, and mattresses. Here is a list of my top five mattress topper recommendation. Each topper has its unique feature that I listed in bullet points. The top suggestions are at the bottom of this article. This mattress pad is designed to fit mattresses that are up to 18 inches deep and fits all regular mattress sizes from twin to California king. It is made from plush rayon derived from bamboo and filled with a hypoallergenic down alternative. The backing is 30 percent cotton and 70 percent polyester. The skirt is made from mostly polyester with some nylon and spandex. This mattress topper provides extra support and comfort. Majority of the people enjoy this bamboo mattress pad. This hypoallergenic topper is filled with Revoloft, which is a state-of-the-art fiberfill that acts similar to goose and duck down without the disadvantage of feathers and allergens. This topper works with innerspring, latex or memory foam mattresses. The 160-thread count with a box stitch holds filling securely in place. This memory foam topper is CertiPUR-US certified and made in the United States. The Red Nomad topper incorporates a cool cycle polymer design that helps trap cold air in and heat out. The mattress topper is designed to reduce pressure points, which may help relieve back pain. The topper is guaranteed to fit because it is sized one-inch shorter so that sheets fit snuggly, it comes in mattress sizes from twin to California king. The DreamFoam topper is a memory foam mattress pad that is two inches thick, filled with gel swirl, this visco-elastic memory foam will add a layer to any existing mattress. If you have an older mattress or one that is a little firmer than you prefer, this topper may help, it adds a plushness that can be more comfortable if you like a softer top layer. The topper comes with a 3-year warranty and is made in the United States. This topper is CertiPUR-US certified, which means it is made without PBDEs, TDCPP, ozone depleters, TCEP flame retardants, mercury, heavy metals, lead, formaldehyde, or phthalates. This topper contains no chlorofluorocarbons (CFCs) and low VOC. These foams are tested independently for performance, durability, emissions, and content. The gel memory foam may help cool mattresses and increase comfort and support. It is designed to conform to the sleeper’s body. This memory foam topper comes in 1.5 inches, 2 inches, 3 inches, and 4 inches. It can fit a twin, double, queen or king mattress. Certified by CertiPUR-US, this mattress pad meets durability, performance, and content requirements. It comes with a 5-year limited warranty. If you’re looking for the typical benefits such as added comfort, support, and heat reduction, the Exceptional Sheets Bamboo Mattress Pad with Fitted Skirt is a good choice. This bamboo mattress topper is hypoallergenic, soft and comfortable. If you’re not satisfied, the company promises a money back guarantee.